Betfair is one of our choice operators for interesting and profitable sports betting. There’s a great deal of things to bet on during the sportsbook, as well as bonuses and offers to be take advantage of. 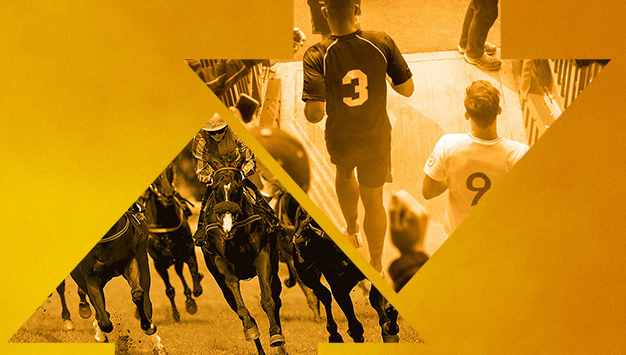 Dive into our review of Betfair’s sportsbook. Which Markets does Betfair offer? Betfair sportsbook offers a great number of sports in both categories and variety of markets and events per category. These include more niche markets, such as Georgian Division 1 football, rowing, and Gaelic games. Games are available regularly, often at different points of the day. This is because Betfair offers sports selections from around the world – which means that somewhere, there’s always a sport ‘on’. Betfair offers a great new player bonus which can give up to £100 in free bets when making certain deposits. The terms and conditions covers full information and can be found online when you register for the Betfair Sportsbook. At Pitch Invasion we think Betfair stands out for a number of reasons. First, you can cash out during games (some limitations apply) and the mobile app and website are easy to use. For members, there are sports discussion forums, live video feeds, special betting tools and calculators, sports news and scores, and more. The promotions for new players are hard to beat too! The Betfair sportsbook is easy to use, Best Odds Guaranteed, and Cash Out features are prime selling points for new and existing customers. Acca Insurance is offered on specific bets and there are also enhanced odds on big sporting occasions. Betfair also gives you a far longer window to use promotional offers – 30 days vs. the usual 7 of other bookmakers. Pitch Invasion rates the Betfair sportsbook as a good bookmaking site overall. With valuable information for players, discussion forums, and betting tools, which are not offered by all bookmakers, Betfair customers can feel valued and appreciated each time they log in to their account. For more Betfair reviews, click here. Tips are offered via the website, and tools such as current scores and odds, which can be viewed from anywhere in the sportsbook provide excellent insight and strategy for new and experienced players alike. Customer support is available via email or on-line chat, however, it is hard to get to the online chat from the main screen. It is open only 10am to 10pm GMT. This slows down response times and creates a long waiting time before you get through to someone. Average waiting times for the 10-11am slot are 5-10 minutes. Sometimes the odds are not quite as good as some of the larger sportsbooks. Customer service is also a bit slow, but overall the benefits of the Betfair sportsbook outweigh some of the drawbacks.